Microdermabrasion is an exfoliation method that uses a special machine that applies a slightly rough applicator tip (diamond tip) to the surface of the skin of the face or neck to exfoliate the uppermost layer of skin. This encourages skin turnover, smooth texture, diminished appearance of fine lines and wrinkles. 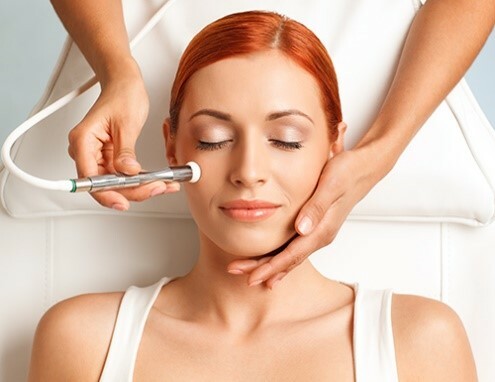 Microdermabrasion also stimulates collagen production and improves firmness, reduces blemishes and pore size. It helps to bring about brightening of the skin tone while minimizing areas of discoloration. Microdermabrasion may be recommended for those with chemical sensitivities and can be used on most skin colors and types. The procedure is painless and non-invasive; however, multiple sessions may be required in some cases.